Although Samsung recently unveiled the Galaxy J3 (2017) along with some other Galaxy J (2017) series smartphones, the company hasn’t forgotten its older devices. The Galaxy J3 (2016), an entry-level smartphone that was launched in March last year, has received May 2017 Android security patch with the latest software update. 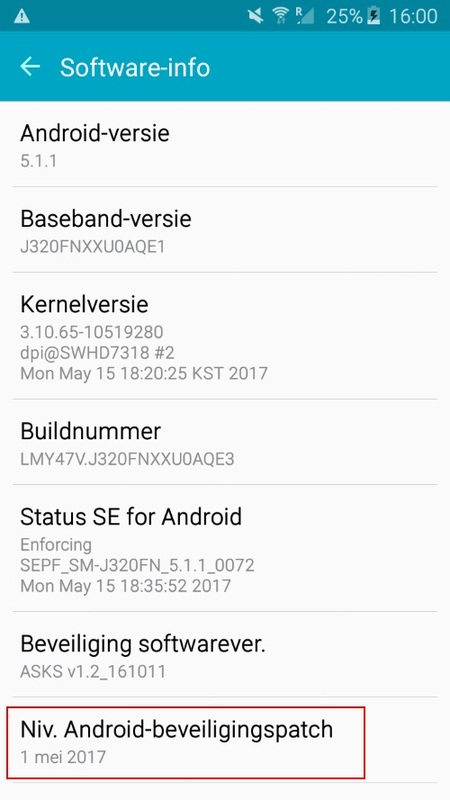 The Galaxy J3 (2016) has started receiving a 143.13MB update to firmware version J320FNXXU0AQE1, bringing bug fixes, performance improvements, and May 2017 security patch to the device. However, the phone still remains at Android 5.1.1 Lollipop, and the company hasn’t updated it to Android 6.0 (Marshmallow) even now, let along Android 7.0 (Nougat). The update is currently being rolled out to unlocked variants of the Galaxy J3 (2016) in European markets and India, and it could soon be rolled out to other countries soon. The device previously received March security patch in Europe. If you haven’t received the update yet, you can check for it manually by heading to the Software Update section in the Settings menu. Well, why does Samsung not update j3? Grand Prime was updated to Android Lolipop. Update j3 2016 to Marshmallow. Today again, a bug with unlocking was repeated. Helped to remove the battery. Budget Xiaomi has long been on Android Nougat. Lollipop is awful by design. Android Lollipop is already ancient. Or, best of all, release Android Nougat. Issue a new update I beg, for me android 6.0.1 at times more convenient Lolipop. And after each reboot, the TouchWiz icons disappear. And yesterday after the update the smartphone hung when I tried to open the Chrome application, I had to take out the battery. In my device (J320H) on a new firmware from May 2 began to occur strange errors. Sometimes when I unlock a smartphone the black screen gets out of me, only removing the battery helps. And this is not one of me is such a mistake, many people when updating to a new firmware (J320H), too, sometimes pops up a black screen. Please updated j3 to marshmallow. It will be updated to marshmallow???? No one knows or will not update the android.